Dimensions (H W D) 24.6 26.2 18.2 in. Duct sizes Intake: 12 in. Outlet: 8 in. 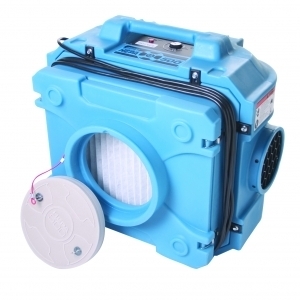 * Please call us with any questions about our scrubber air rentals in Kamloops BC, Princeton BC, and Salmon Arm BC.